Green Bay Packer fans can take a breath. Aaron Rodgers looked half way decent in his start on Monday night against the Cincinatti Bengals. Granted, it was an exhibition game. Rodgers’ stats included 9/15 passing, 117 yards, a touchdown, and an interception that wasn’t his fault. He kept his composure in the pocket and made some solid passes while also showing off some of his skills as a mobile quaterback. As a Packer fan, I’ll come right out and say that I support the teams decision to let go of Brett Favre. I love Favre and I am confident that there will never be another Packer quaterback that inspires the world of football like he did. However, I have lost a bit of respect for him as a result of this whole ordeal. I’m not a fan of come-back-from-retirement sort of decisions to begin with but this one in particular caused a certain unrest within me. I don’t really agree with the way Brett decided to go about coming back. It seems that he waltzed back into Green Bay expecting the team to take him back with open arms and when they didn’t the drama began. I understand that Favre is a legend but when you say you are going to retire then there isn’t much more you could expect out of a team than to begin building around their new quateback. Aaron Rodgers has more than paid his dues. Sitting on the bench for three years behind Favre and learning from the best, Rodgers had to be crushed when he found out that number 4 was scheming his comeback. Let’s remember that. To tell Rodgers that he was going to have to sit on the bench for another year after being named the new starter of the Pack would be wrong. 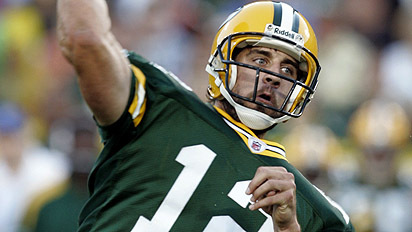 I welcome the new Era of Aaron Rodgers in Green Bay. I look forward to seeing him lead the Packers this next season. As for Jet Favre, well, I suppose he deserves a ‘good luck’ as well. I’m being challenged by Philip Yancey’s Prayer: Does It Make Any Difference? I’ve found much of the book to be very insightful and quite profound which leads me to extend it to all as a recommendation. 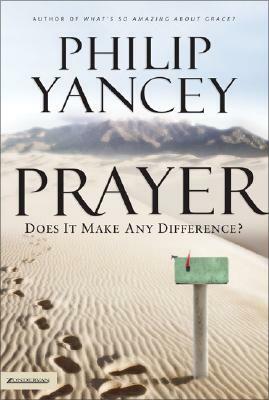 In it Yancey attempts to answer many of the questions that are commonly asked concerning prayer: Does prayer change God? Why do bad things happen to good people? What difference does prayer really make? Pretty heavy stuff. I have come to realize that we are the answer to many of the prayers that we pray. How often do I pray, hypothetically, “God, please provide for my friend who is struggling financially,” when I have just been given a pay raise? The truth is, we are God’s hands on earth and from the beginning He has chosen to accomplish His will through us as His chosen people. The election of the nation of Israel is a great example of what I am getting at. In the Old Testament there are countless stories of God using the nation of Israel (in its early stages), a group of sinful, fallen people, to carry out what many would call ethnic cleansing. Ultimately, the nation was established and Jesus, the Savior of the world, is born through her. God, being all-powerful and altogether sovereign, could have chosen to accomplish all of this without force or even further, the nation of Israel but the fact of the matter is that God has willed it that we be His instrument of grace. God chose to use a group of sinful people (hence the war, violence, and bloodshed) as a vessel of His grace back then and it is the same today. I understand that this example may require a discussion in and of itself but I believe that it illustrates what I am trying to say at least somewhat clearly. God is transforming the way I view prayer. Perhaps instead of asking God to miraculously intervene (which I believe is a good thing to pray for in some circumstances), I should be asking Him how I could come along side Him in His Kingdom work and change the situation I am praying for myself by the power of His Spirit within me. Maybe I am the answer to some of my prayers and I just haven’t realized it yet. I figured that if I had a place to write out my thoughts then I would be able to figure myself out a bit more.